Composed of an enzyme-based formula to get out even the toughest stains, the 3-in-1 Micro Clean Technology contains a pre-treater, stain remover, and color booster all in one. With three aromatic scents – Blooming Lavender, Summer Breeze, and Tropical Fiesta – your family’s clothes will smell as great as they look. Bummie my 4 year old loves to clean her hands on her shirt while eating.This time she did a number on her white shirt with ketchup. Thanks to White Clouds cleaning power she will be back to wearing her beautiful sirt again! In less than six months of launching White Cloud’s new Laundry Detergent, a leading consumer magazine has already named White Cloud Laundry Detergent as #1 in value and #6 in cleaning. Not only did it attack a stubborn ketchup stain but with its soothing lavender scent it left the laundry smelling amazing. So take the “Dare to Compare” challenge and try this product yourself with this hiigh-value coupon offer. White Cloud is well known for their family of soft and strong Bath Tissue, Facial Tissue and Paper Towels. They are excited to invite all their shoppers to discover their new line of Laundry Care products. Walmart moms can trust the quality and value of White Cloud Laundry Detergent, because Walmart trusts White Cloud Laundry Detergent. See how White Cloud can help you save your budget, and your family’s clothes. Head over here to find a Store Locator and get your hands on this fantastic cleaning product. Disclaimer: Limit one coupon per purchase on product specified. No cash back if coupon value is higher than purchase price. Void if reproduced, transferred, used to purchase products for resale or where prohibited/regulated by law. Not valid on trial sizes. Consumer pays sales tax. Redeemable at participating retail stores. Valid only in the U.S.
Why is Walmart the only that carried. And is it discontinued? WOW! That worked great! I’ll have to give it a try. Thank you for sharing. I’ve never heard of this before. I’ll have to give it a try! I like your review, that is amazing! I’m definitely going to have to try this! Wow! I think I will need to try this next! Wow! I think I will have to try this. I hadn’t heard of this product before> But wow, looking at those before and after photos is impressive. I’ve never heard of this .but it sounds great. I didn’t know that White Cloud had laundry detergent. If it can get ketchup out, I will be trying it. I will be looking for it the next time I am at Walmart. I have never heard of this laundry detergent before, but it sounds like it’s worth a try. I love how White Cloud got out the stain. Just wondering what ingredients are in the detergent. So many on our store shelves contain fillers. I use this for my two kids and wow does it ever work ! 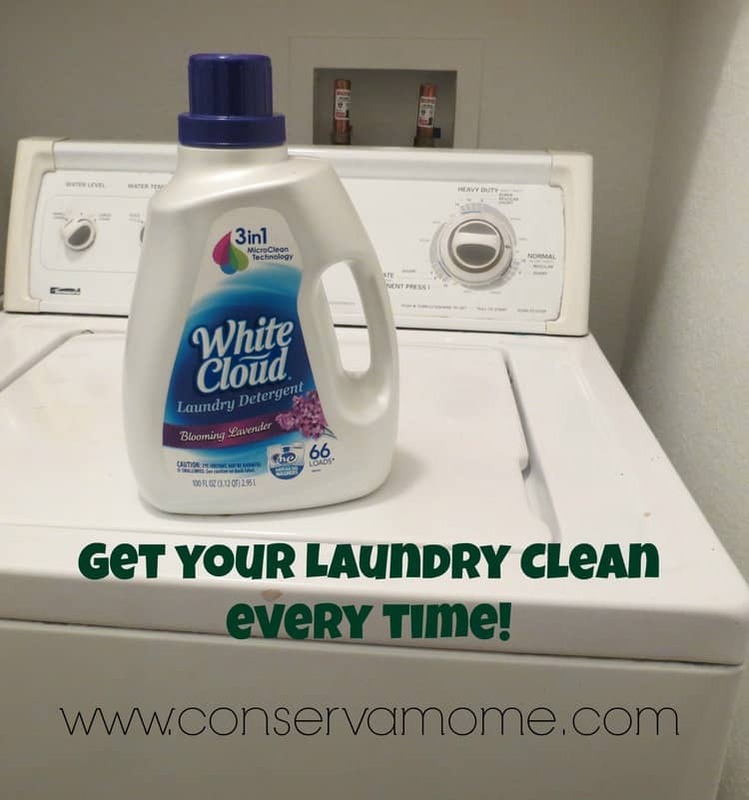 White Cloud Laundry Detergent looks like it does a great job of removing stains. After seeing how White Cloud was able to get the ketchup stain out of your daughter’s white top I think I’m convinced. Thank you for sharing this review post and coupon. I think I’ve seen this before, but I tend to prefer laundry detergents for sensitive skin (unscented, etc). It’s definitely worth a try though! Not all detergents bother me, so it’d be interesting to see about this one. It would be nice to have one that removes stains so well! I have not seen White Cloud in my stores. I will have to look for this detergent because I am always fighting stains and have not been successful. This might help me out. Thanks! I saw a coupon deal on this recently and after reading your review, I think I will give it a try. My 3 year old just learned to wipe her hands off on her pants/shirts from watching my husband! Lovely, huh? 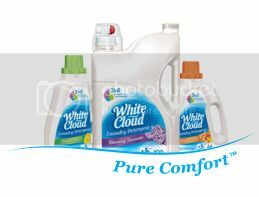 I’ve never tried White Cloud detergent but I would love to give it a try. I have never used White Cloud but want to try it now. My daughter gets stains on her clothes quite often and sometimes they just do not come out. Thanks for the review! Wow I am impressed. Thank you for your review. 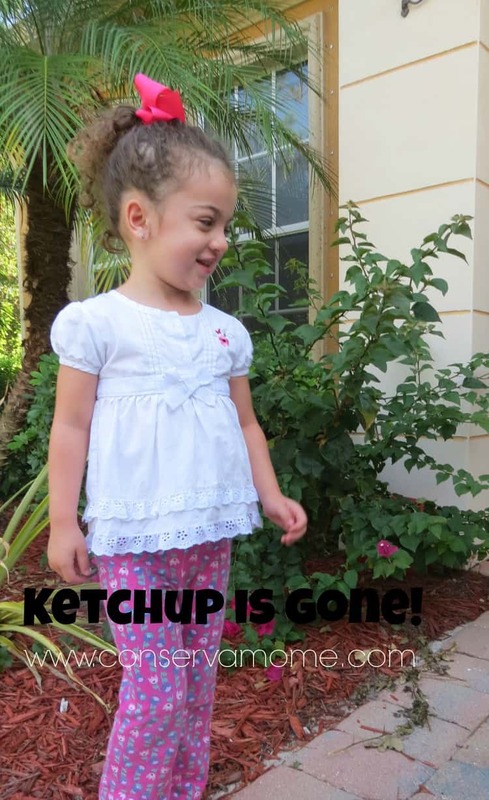 I am amazed that ketchup came out of a white dress. I have never used White Cloud. Going to have to try it. Wow, that ketchup really came out. I need this stuff. I have a two year old that like ketchup.